Tonight at 12:39 AM, crews responded to the Barnes and Noble store in Main Street at Exton for a fire alarm. 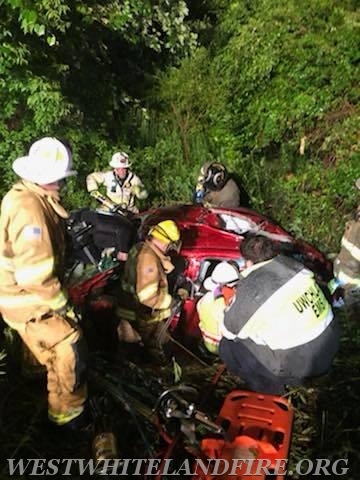 Later at 2:28 AM, crews were dispatched to an automobile accident with entrapment. 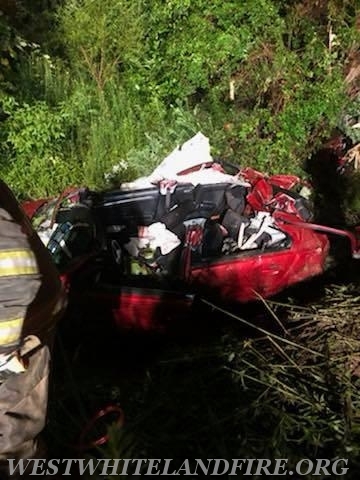 Upon arrival, crews found the vehicle about 20 feet into the woods and in a creek. 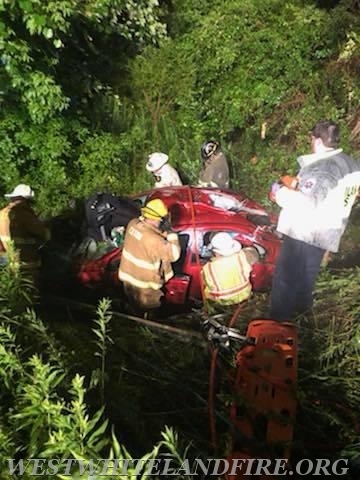 One occupant was heavily entrapped so crews had to work diligently to free the occupant as the car was filling with water. During the accident, crews had an additional call for trees and wires on Spackman Lane. Again another sleepless night for the volunteers of the West Whiteland Fire Company.